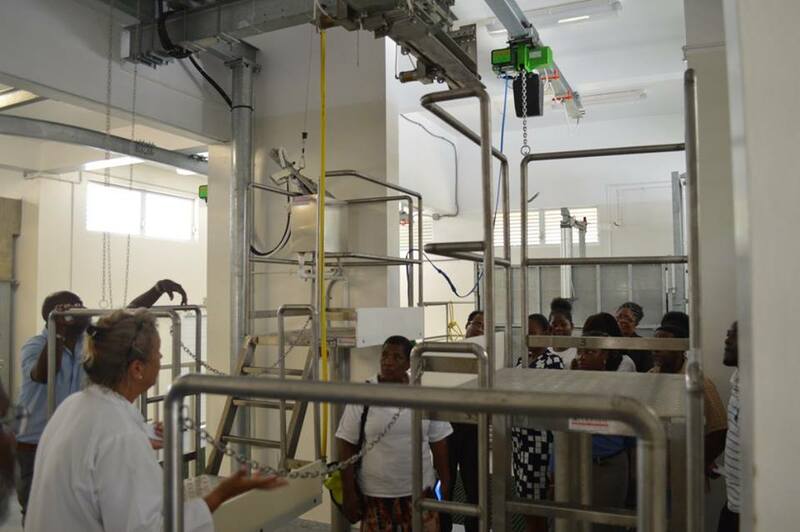 Dr Jane Guise gives a tour of the abattoir to a cross section of business people, government officials, and young people. Residents, restauranteurs and hoteliers won’t need to ship in special cuts of meats as the government abattoir is now offering this service to the community. 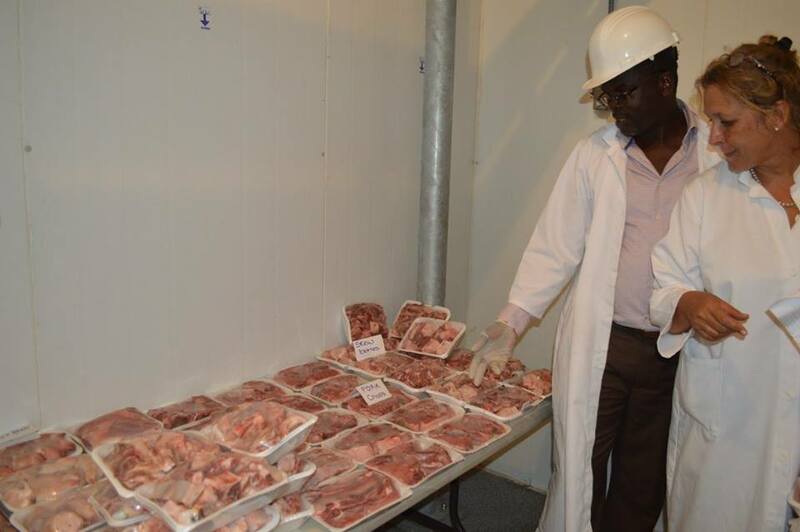 On Friday, June 24, a cross section of business people from supermarket owners, hoteliers and restaurateurs were given a tour of the Abattoir, which was opened last December. Dr Jane Guise, an agri-scientist who serves as the operations manager for the facility, walked guests through the process for humanely killing the animals and how they are prepared for market. Permanent Secretary for Agriculture Daphne Cassell noted that since May the abattoir has been slaughtering and processing meats for clients in the community. Minister of Agriculture Claude Hogan and Dr Jane Guise show off the types of cuts which can now be provided to farmers and retailers. Also on hand was Hon. Minister of Agriculture Claude Hogan. He commended the team at the abattoir for their work to provide this service to the community. Hogan added that the facility has become “the centre of a whole industry. The meat industry has been launched.” He was able to try his hand at making British sausages and also showcased the impressive cuts which can now be made for clients. The abattoir recently received machines which allows it to make ground meat, sirloin steaks, ribs, and other specialty cuts. Special recognition was given to the Environmental Health Department which has the responsibility to inspect and certify the meat before it can be released for sale. Guise noted, the next action is to be able to export meat from Montserrat. The current plan is to provide cuts as ordered to local supermarkets and restaurants. The abattoir located below the power station in Brades, was built through a project funded by the Basic Needs Trust Fund (BNTF). Price list for pork and beef cuts.